There is a relatively straightforward method of finding unknown devices and device drivers in all Windows packages. The challenges really begin to rise when you are trying to install a fresh copy of the program or upgrading the system. In these cases, the OS may fail to identify all the hardware that you have connected to the system. That is why some people prefer to download drivers for all the major components of their PC, before they do the installation of the operating system (OS). Despite these precautions, there could be some residual issues such as a motherboard, which lacks an appropriate system or an add-in card that is not immediately recognized. There is no single size that fits all. For example, you may opt to visit the manufacturer’s website in order to get guidance on how to deal with the motherboard. At other times, it is just a single component, which you can resolve by finding the necessary alternatives. The spec sheet will tell you about the different requirements and possible remedies for the problem. Alternatively, you can dismantle the rig, so that you can find the right parts. All these are challenging methods although they will eventually get you to a solution, if you are persistent. A much simpler way is to work with your device manager. This is where a lot of information about your predicament is found. It will identify the missing drivers and direct you to the places from where you can easily download them. All the unrecognized devices in the device manager are marked with a black exclamation point for easy recognition. This is on the front of a yellow sign. They may even list the name of the device that they are referring to, which makes the identification process all that much easier. Some detective work on your part is required. Every hardware that you use on the computer system will come with a unique identifier. To open the device manager, you need to go to the start menu and then search for it in the dialogue box. Right click on the device that is unknown, before selecting the option to view its properties. Click on the details within the context menu. This will give you a drop-down menu. Look for the one that is called property. 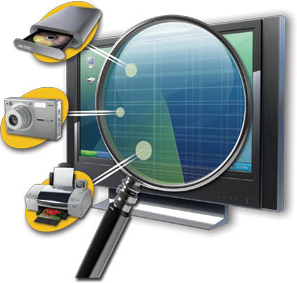 That is where you will find lots of information about the device that you have been trying to decipher. Concentrate on the hardware IDs. You will get a number of values. You select the one you are looking for and drop it in the Google search box, which will tell you which device you are working with. Start with the first and then move down along the list until you find the one that you have been looking for. Here is an example of how the string would be written: “PCI\VEN_8086&DEV_0153&SUBSYS_05891028”. Once you get the driver, download it and then the system will work well again. This method will save you the hassle of having to check every single detail.